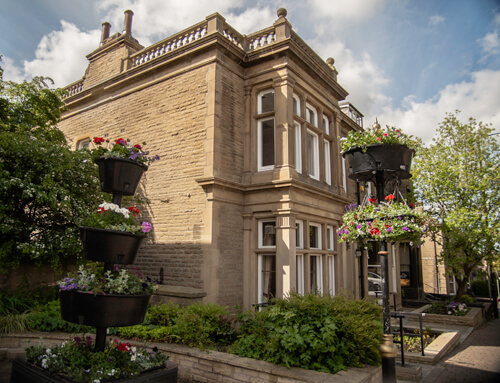 Pendle Support & Care Services in Lancashire provide support to children and adults with learning disabilities, physical disabilities and mental health issues. 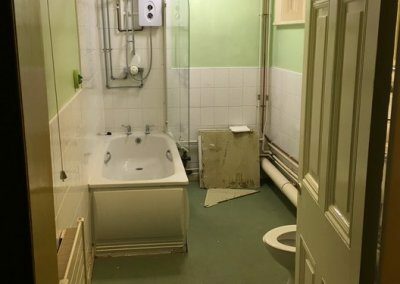 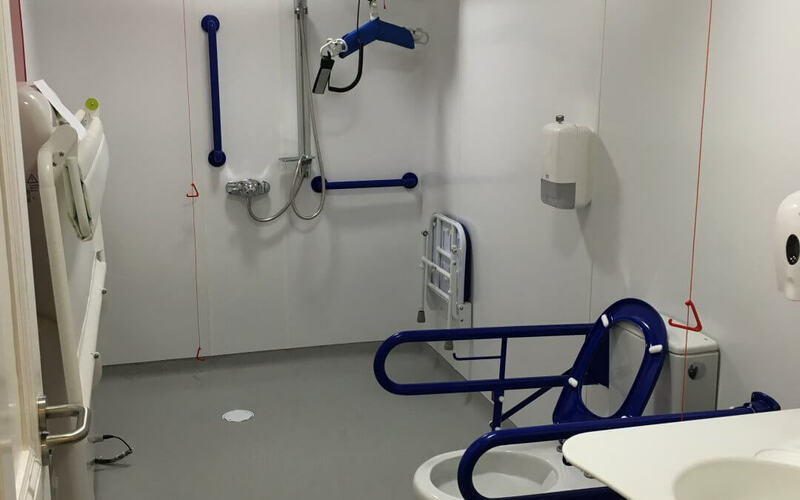 An existing bathroom was converted to an accessible Changing Places toilet facility as part of the project. 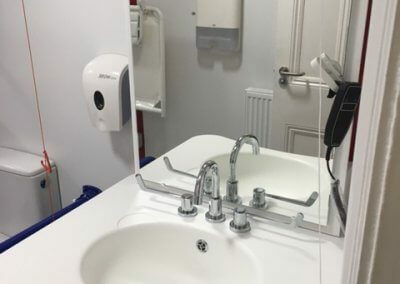 Astor-Bannermandesigned the room and gave full project management, completed the building work and installed the Nivano CTE190Changing Table, A2BCeiling Track Hoist and ABW6Adjustable Basin for maximum accessibility. 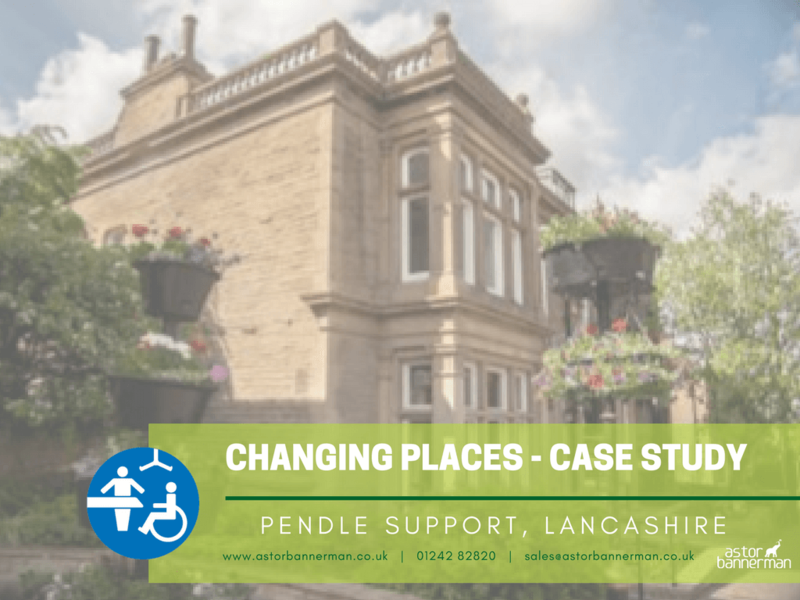 Established in 2005, Pendle Support & Care Services is a specialised domiciliary care agency supporting children and adults with learning disabilities who may have associated physical disabilities and mental health issues. 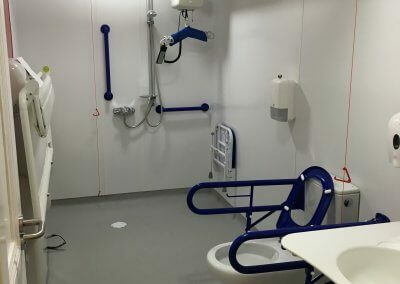 The team at Pendle Support approached Astor-Bannerman to help incorporate a full Changing Places toilet facility for their visitors and anyone in the area who needs it to help to maintain independence and allow people to have choices about how they live their lives. 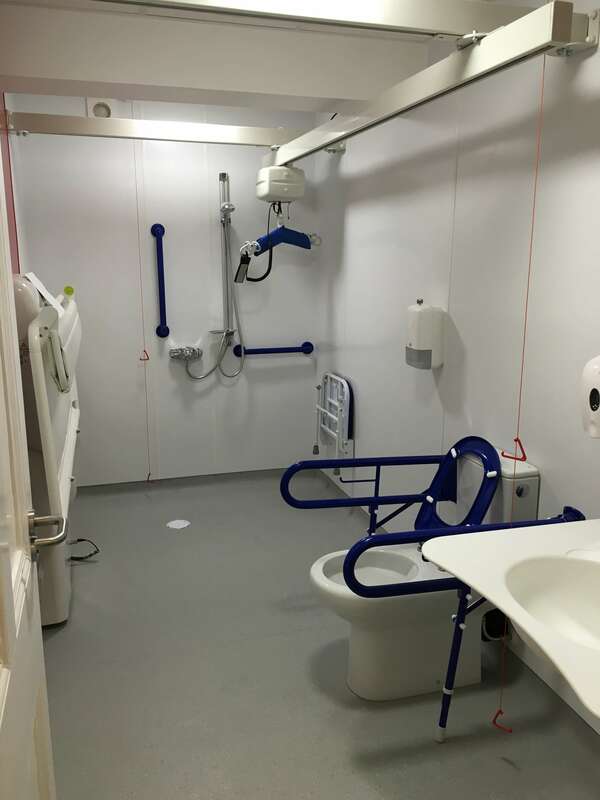 Space was tight for this project so walls were moved as much as possible and wall / ceiling mounted equipment installed in order to maximise the space, still allowing space for a large wheelchair and care givers. 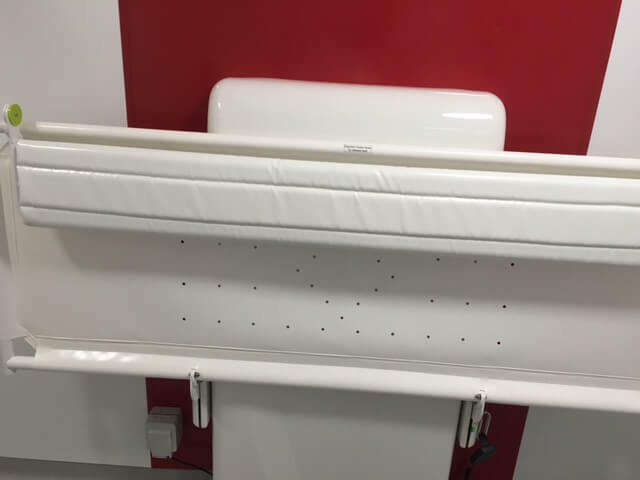 The ceiling hoist was wall mounted which was perfect for installing around an integral ceiling beam. 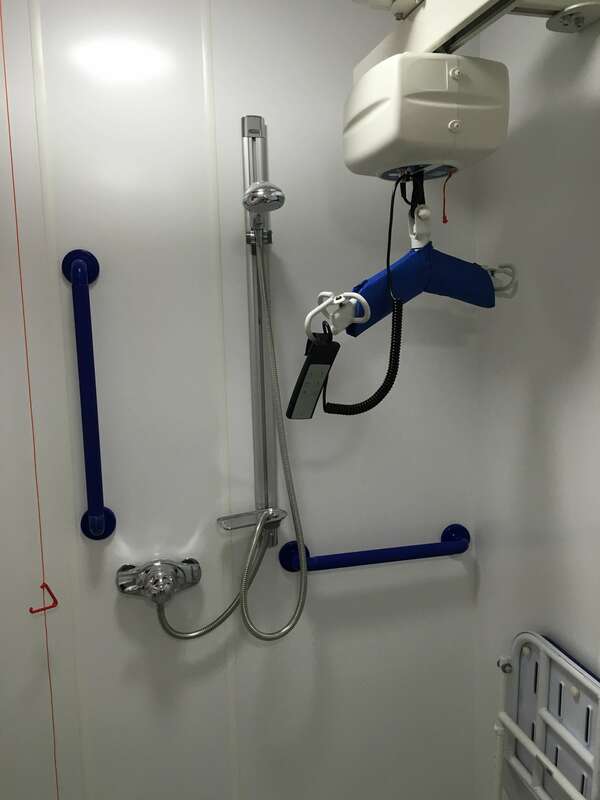 Wall mounted hoists are also useful where ceilings will not accommodate the fittings required for ceiling mounting. 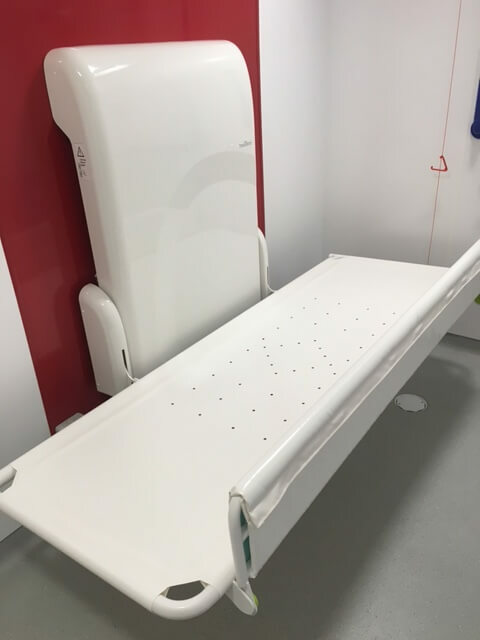 Changing Places include a changing table, hoist and room for 2 carers and are vital facilities for disabled people and their families. 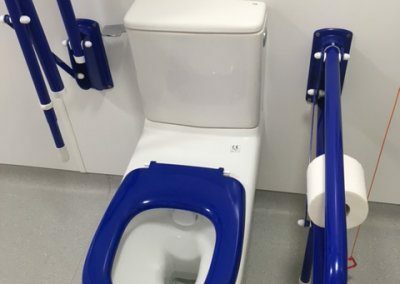 They provide a safe and comfortable place to go to the toilet and receive the care needed. 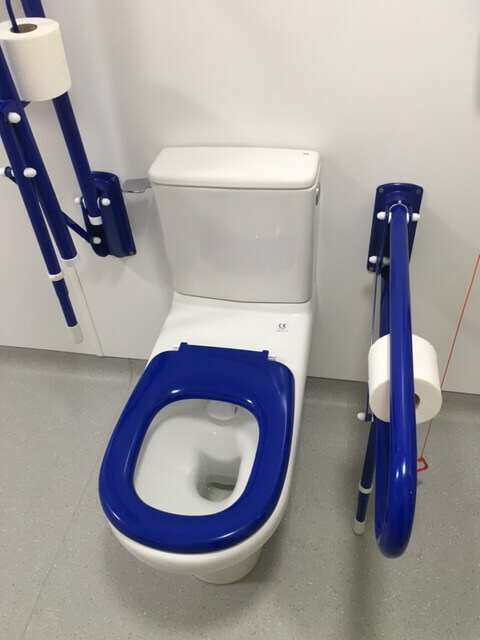 Without Changing Places, care becomes virtually impossible and often families have to care for loved ones on dirty toilet floors or stay at home. 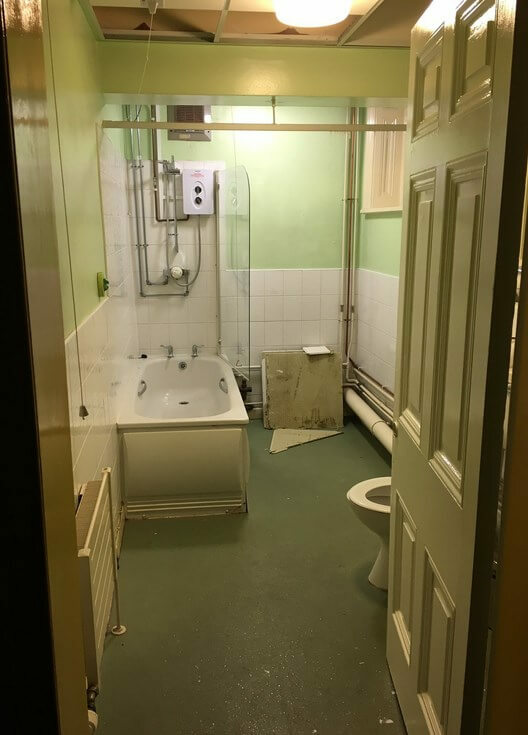 What Specialist Equipment is Included? 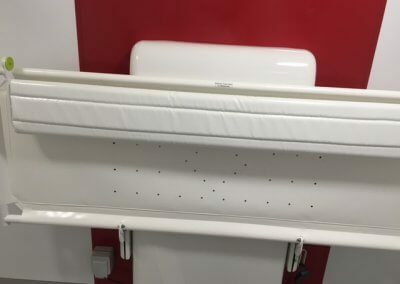 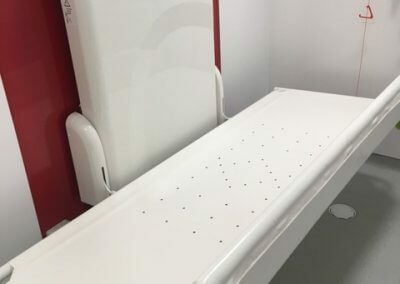 Wall mounted Nivanoadult changing table which folds away neatly when not in use, maximizing space. 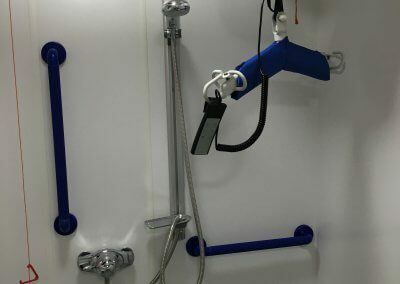 A2BXY ceiling track hoist for full room coverage with unique gravity charging system. 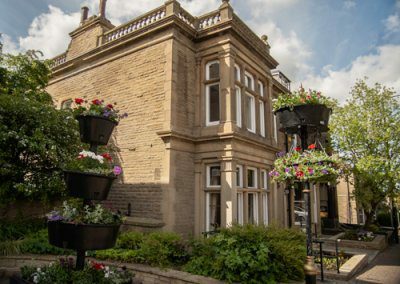 For over 20 years’ Astor-Bannerman has built an exceptional reputation within the Social Services and Local Authority Sectors where it is held in the highest regard. 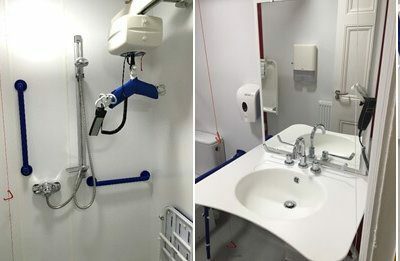 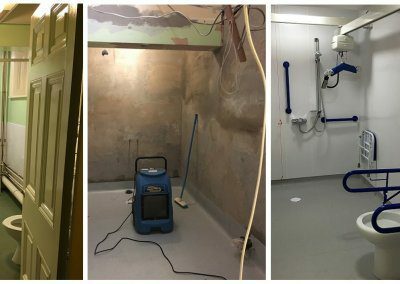 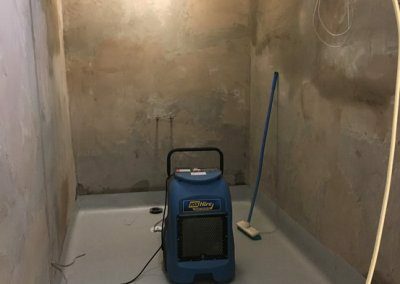 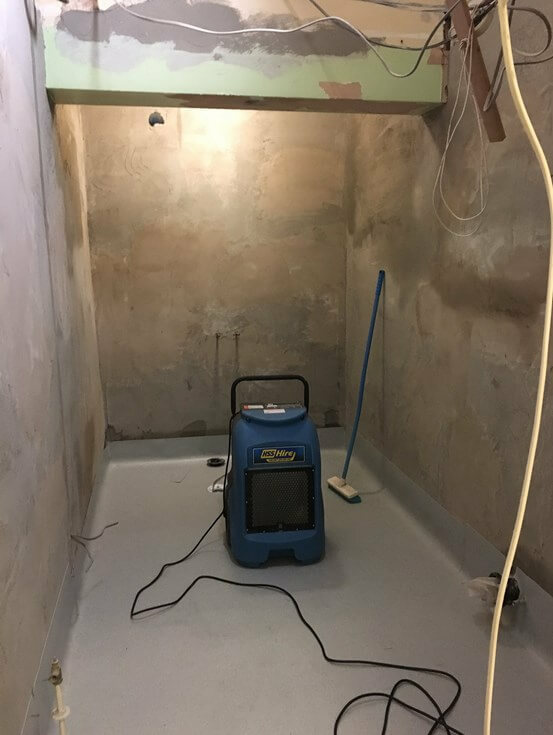 As specialists in design, manufacture and installation of assisted baths, hoists and changing equipment, Astor-Bannerman offer free site surveys, home demonstrations, expert advice, quotations, CAD room layouts, OT team meetings and much more without obligation. 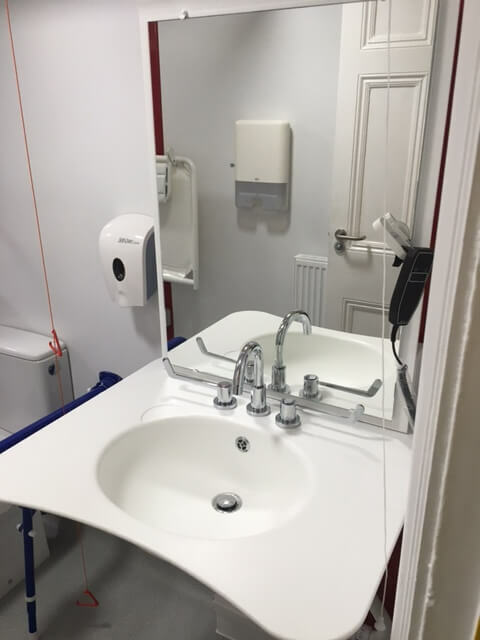 To see how Astor-Bannerman could help with your Changing Places and home adaptations contact us today and make use of many of the free services we provide.